It's been a flurry of activity in my non-crafty/cooking life. It all began last week when I met with at adviser at The University of Colorado to discuss the possibility of applying to attend their Masters Plus program. I knew that I would need to accumulated credits in several different areas before I could apply to the program which results in a MA in Education and a High School Teaching License. This meeting was to determine what credits a I needed and where I could get them. Because my degree in theatre is a BFA (rather than a BA) I thought I had gotten away with murder by not having to take a bunch of boring general credits, but it seems my date with college algebra was only postponed. I need, give or take, 12-15 credits mostly in general areas such as college level math and science. 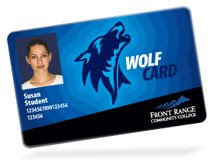 So this fall, I will be attending Front Range Community College part-time. If all goes well - pending a meeting with an adviser this Monday - I should be enrolled in two classes to begin THIS FALL. I knew that I needed to get started, but had been dragging my feet. Now, in the matter of less than a week, it looks like I'll be all setup to be back in school this Fall. I am half nervous, half thrilled. After looking around at my options I've decided to attend Front Range Community College which is about a 25 minute bus ride from my apartment in Boulder. My opinion of Front Range Community Colleges thus far is A+. All of the staff I have dealt with have been informed and friendly. The price isn't going to kill me either. I think that if I continue to work full-time while taking two classes a semester I won't have to take out any loans until it is time to go back full time in 2010. The big hitch is getting "In-state" Tuition. My Proof of Colorado residency is pretty solid. The worst-case scenario is that I would have to wait till Spring, but I honestly don't think there is going to be a problem. The best part is how excited I've been as I've been doing all the work. Reading through the course book and selecting my classes for the Fall might be the most fun I've had in months. It feels good to have some positive direction in my life. The other best part...getting to have Student ID! I can't wait to get discounts at the movies and all the other great deals you get by being a student. This is really great. We wish you the best of luck. Keep up the good work. That's not your ID. Let's see the real deal. I like to spend my free time by reading different internet resources and today i came across your site and I think that it is one of the best free resources available! Well done! Keep on this quality!